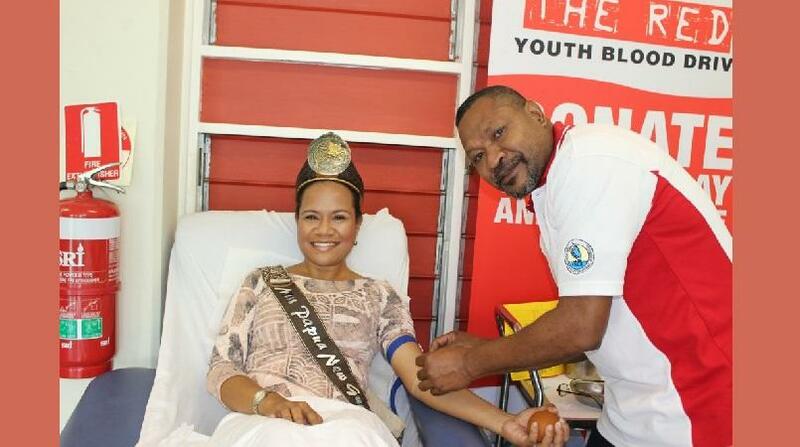 The 2016 Miss PNG Pacific Islands Pageant contestants visited the Port Moresby General Hospital blood bank on Monday this week and donated blood. These young women are setting the standard of what it means to be a leader by getting involved in charity work and giving back to the community. These five young women are vying to become Miss Pacific Islands to represent the country at the 30th annual Miss Pacific Islands Pageant in Apia, Samoa on Nov 27 to Dec 2. The beauties were led by the reigning Pacific Queen, Miss Abigail Havora and accompanied by the patron of the Miss PNG Pacific Pageant and the wife of our Prime Minister, Lynda Babao-O’Neill. Patron, Lynda Babao-O’Neill thanked these women for taking this great opportunity to visit the blood bank and most importantly, donate blood to save lives. Babao-Neill said the Youth Blood Drive and the Corporate Blood Drive have provided more insight into the benefits of donating blood not only to the recipient but for the donor as well. Miss Italpreziosi a pageant contestant acknowledged the hard work of the blood bank team and appreciated a visit from Lady O’Neill and PMGH CEO Grant R. Muddle.